Great organizer to help students plan their story. Includes characters, setting, purpose, beginning, middle, and end! This is a supplement to Goose's Story from 2nd Grade Treasures. It contains a beginning, middle and end organizer and leveled comprehension questions. For many years I found myself struggling with how to help my students keep their notes organized during our short story unit. After spending a lot of time thinking about the common elements of all stories and what I wanted my students to glean from the text, I came up with this double-sided handout. Graphic Organizer for personal narrative writing: Students begin with a watermelon topic (big idea) and develop 3 seed stories for each topic. 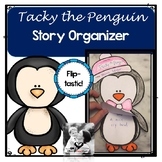 Use this organizer to plan imaginative narrative stories! It includes boxes to plan the setting, characters, a problem, 3 attempts to solve the problem, and a solution. This organizer has worked really well for my Kinders! It allows them to pre-plan their writing, whether it is for planning narrative stories, informational or opinion pieces. Once finished, they are able to use their organizer to revise/edit and publish their writing pieces. This organizer helps students comprehend informational text and divides the story into main ideas based on the headings and subheadings in the story. This is a great resource for students of all ages who are writing a short story. I use it with my class and it`s very helpful in the planning stages of the task.